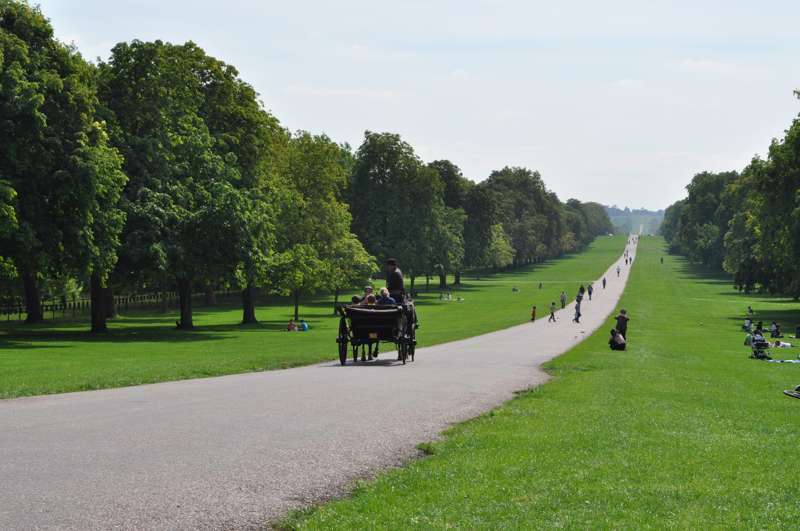 This 2.64 mile-long, dead-straight avenue, lined with chestnut trees and flanked by grazing deer, is the quintessential Windsor walk for locals and visitors. Start from the castle gates at the end of Park Street and walk to the ‘Copper Horse’ – an imperiously camp statue of (mad) King George III on horseback, with panoramic views back to Heathrow, Wembley and west London. The round trip walk takes 2–3 hours in all; no bicycles are allowed. From the Copper Horse, it’s a further 15-minute walk to the Fox & Hounds pub, or 30 minutes to The Savill Garden. Alternatively, you can take a horse-drawn carriage down the Long Walk from March to December. Only park rangers and one special guest are allowed to drive along the Long Walk: mid-morning on a Sunday, you might see an official car sweeping down the tarmac, driven by the Queen on her way to or from church in Ascot.